60 percent of men don’t go to their doctors regularly. June is Men’s Health Month and for good reason. 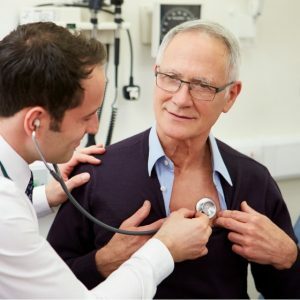 In a recent study of 500 men by Cleveland Clinic found out that only three in five get an annual physical and just over 40 percent go to the doctor only when they fear they have a serious medical condition. Of those they surveyed, over 53 percent agree that their health just isn’t something they talk about and 19 percent admitted they go to the doctor so their significant other or loved one will stop nagging them. No matter how strong or successful you are, sometimes we need help. It is important that when something is not right, you need to admit it and address it. Even if you think you’re in fantastic health, you really can’t afford to avoid the annual doctor’s visit. If you don’t have a doctor’s appointment set on your calendar, today is the day to make that call.